Every year, Scott carves out a week in the summer to gather media, reps and dealers to show off their latest offerings. 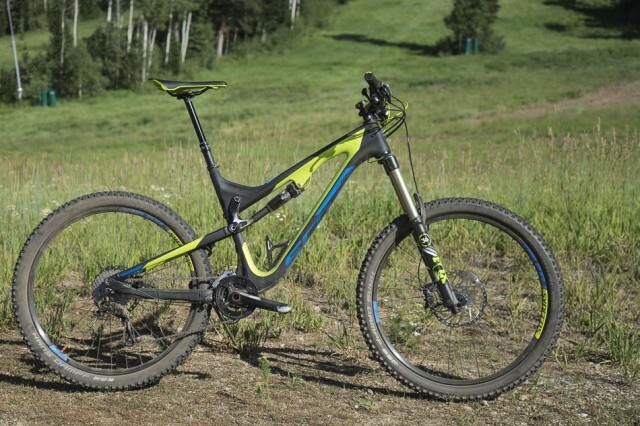 This year’s Scott Week went down at Deer Valley Resort in Park City, Utah, and the focus was on the Switzerland-based company’s recently announced plus-size offering, which includes three models: the Genius Plus, Genius LT Plus and the Scale Plus. The Genius LT Plus is an eye-catching machine; its 27.5-plus tires and 160 millimeters of travel give it a goliath stature. Scott initially planned to exclude this bike from its U.S. offering, but received so much positive internal feedback that it seemed silly to keep it from the American market. The non-plus Genius LT has been in Scott’s line for several years now, and features 27.5 hoops and 170 millimeters of travel–10 millimeters more than its plus-sized twin. After clocking in my laps on the LT Plus, I hopped on the normal LT to see how the plus-size wheels affected the ride. Read on for my impressions. If this is the first you’re hearing about plus-size bikes, you should check out our in-depth Blueprint feature. New for 2016, Scott’s Genius LT Plus Tuned rolls on 2.8″ Schwalbe Nobby Nic tires. I’m not going to go too deep into the build on these bikes, since this test was really about seeing how two similar bikes handle with the different wheel standards. I tested the top-end Genius LT Plus Tuned and the middle-of-the-road Genius LT 710. Both bikes have carbon front triangles and alloy rear ends. There are some significant differences in componentry between the two models: The LT Plus Tuned is specced with an 11-speed drivetrain, as opposed to the LT 710’s 2×10 setup, and also features higher-end suspension. But my impressions here really don’t have anything to do with componentry. 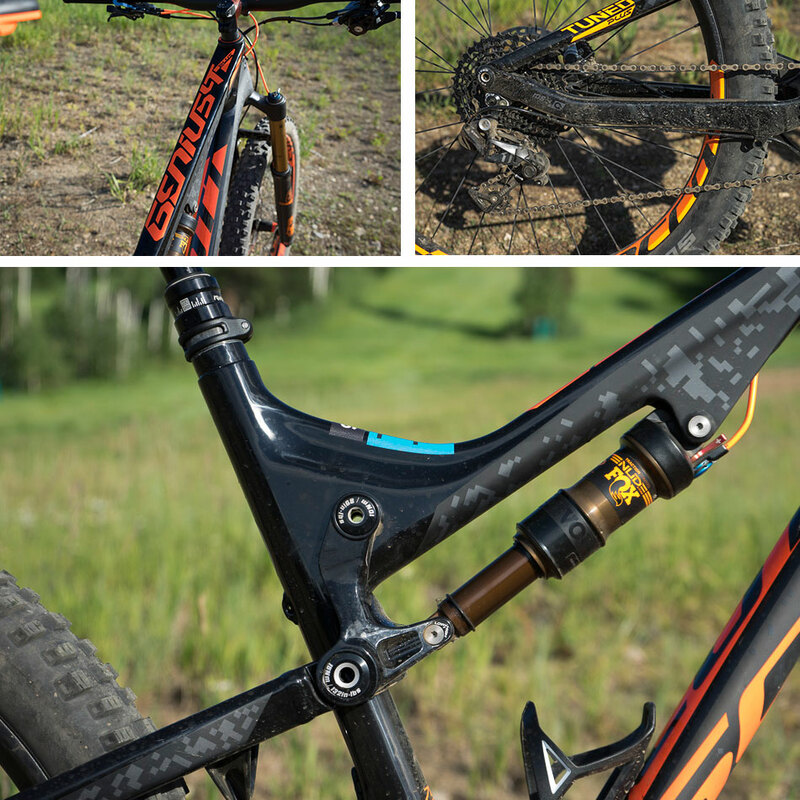 More relevant are the close similarities in the bikes’ geometry and suspension kinematics. Both bikes feature adjustable geometry via a chip in the shock mount, which I kept in the ‘High’ setting. The Genius LT 710 comes with “normal-sized” tires and a mid-tier component spec. You can view its geometry here. Deer Valley’s bike park is riddled with tight old-school corners, and a surprising number have drops into them or in them. Despite the bikes’ geometric similarities, the LT Plus proved more of a handful in these situations. I had an easier time placing the Genius LT where I wanted and carried more speed through the awkward corners. Straight-and-chundery lines were easily dispatched by the trail-muting 2.8″ Schwalbe Nobby Nic tires on the LT Plus, while the non-plus LT required more attention and braking finesse. There was a certain vagueness to the LT Plus, which probably resulted from a combination of the 2.8-inch tires and the 160 millimeters of travel that stood between me and the trail feedback I’m used to. The bigger tired Genius displayed seemingly limitless traction on off-cambers, but felt unnerving on gravelly, loose-over-hard surfaces where the regular LT seemed to cut into the loose and hold it’s line. I think the larger tires were rolling on top of the loose rocks and not pushing them out of the way to find the traction that the narrower rubber could get to. On good dirt, though, the plus-sized rubber gave me the confidence to lean the bike over quite a bit more than I felt comfortable with on the normal LT. When it came to jumping, the LT Plus wasn’t as flickable off lips as the Genius LT. But I was pleasantly surprised to not feel any unnerving tire roll when landing or taking off on the big tires, which I ran with about 14 PSI in the rear and 13 in the front. My sense is that Scott’s suspension is skewed towards climbing, an assertion supported by the fact that I never felt the need to hit the bar-mounted dual-lockout lever on either bike. 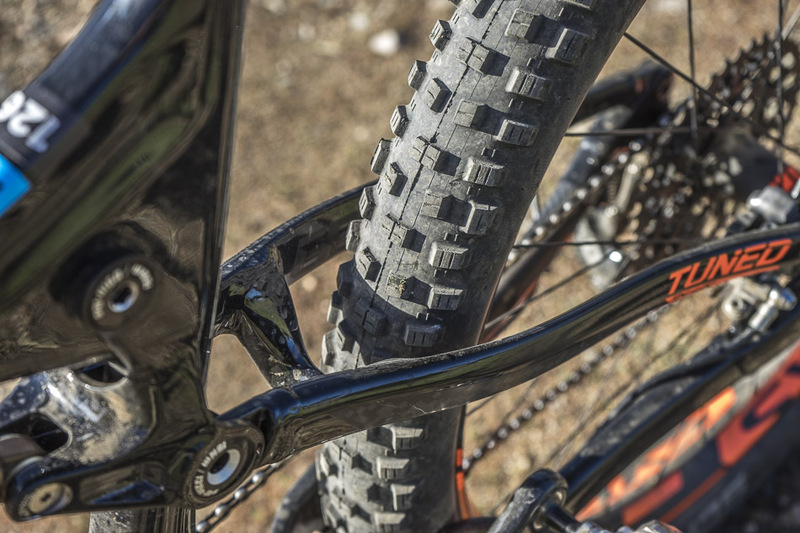 There wasn't a shocking increase in rolling resistance with the 2.8" plus-size tires, and the rolling efficiency of the larger diameter hoops seemed to make up for what added resistance there was. Technical climbs that didn’t require rapid directional changes were cake on the LT Plus, with the big wheels rolling and gripping on even the most poorly chosen lines. The normal Genius LT climbs extremely well for a bike with 170 millimeters of travel, but couldn’t compete with the 160-mil LT Plus when it came to power-smashing technical uphills. As far as I’m concerned, this is the most important element in any review. Hands down, I had a better time on the normal Genius LT. But let me qualify that a bit: I’ve spent years riding bikes with tires that perform like the ones on the Genius LT, so it’s arguable that my riding style hasn’t adjusted to make the most out of the bigger rubber. That’s a fair argument, but the thing I enjoyed most about the non-plus LT was that it was more flickable and playful than the LT Plus. The bigger-tired Genius wasn’t as enthusiastic about my efforts to make it scoot, pop and scuttle across the trail the way my favorite bikes do. Of course, “maneuverability” is not central to every rider’s definition of fun, and the larger tires will certainly suit riders who prefer to hold a straight line and let the bike mow down everything in it’s path. Plus-size will also likely have less-confident riders having more fun simply because of the stability and traction offered by the big tires. Scott isn’t making the argument that plus-size bikes are better in every way. The company’s pitch is that each wheel size offers unique advantages, and that plus-size’s advantage is “traction and control.” Generally speaking, I agree. The LT Plus had a lot of traction on hand over most surfaces. The “control” part gets a bit murky. What kind of control are we talking about here? If control is the ability to maneuver the bike effectively at a given speed or in a particular situation, I would have to disagree. In my experience, the Genius with the 2.35″ tires was, across the board, more effectively maneuverable than the one with the 2.8s. When it came to riding chunky, point-and-shoot trail features, though, the plus-size bike had an unquestionable confidence about it. What’s “confidence?” Well, when it comes to riding one might define it as the feeling of control. If plus-size delivers that feeling of control–regardless of whether or not it actually is control–and gives less-confident riders what they need to enjoy the trail, then I’m all for it. 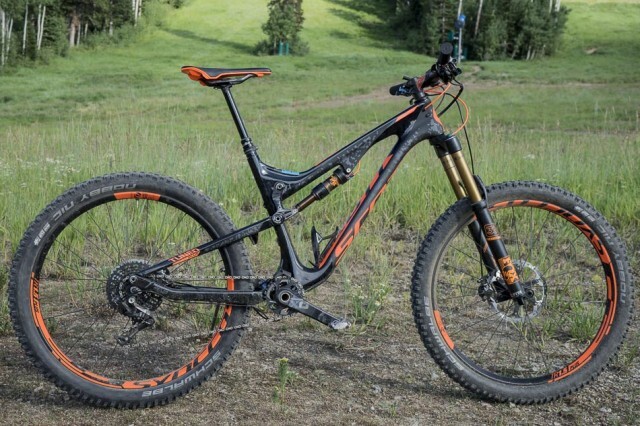 The Scott Genius LT Plus will come in three different build options, priced at $4200, $5300 and the $8000 “Tuned” version ridden in this test.